Straight after assembly, we go upstairs to see our English teacher. Today we are writing about the class novel ‘Journey to Jo’burg’ by Michael Morpurgo. Maths follows soon after and we are greeted by a happy and enthusiastic teacher ready to teach geometry. Mr O’Doherty brings the lesson to life. I’m on my second tricky problem as the clock strikes 11, wow break already! Time flies by every day and it doesn’t seem long before I’m collecting my things on Friday to go home. I can’t wait to come back on Monday ready for another exciting week. 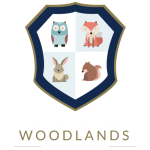 Mornings can be a little hectic in my house, so it is always a relief to pull up to Westville House school, join my friends outside and begin another enjoyable day. When 12:20 comes on Wednesday it is time for choir. We are striving to be the next ABBA for a performance of Mama Mia. We have formed a class band and I’m playing the drums. Everyone likes to sing along. 3pm Thursday we have clubs with Mrs Holloway which is fun. There are 3 clubs to choose from: Art, Computing and Dodgeball. I like to do each one, although not at the same time! The food at Westville is as good as you can get thanks to our amazing Chef. My favourites are: sausage and mash, pasta and garlic bread, and lasagne. Its always a relief to know when everyone is rushing around at home in the morning that I have an exciting day ahead. I hop into my mum’s car and drive up to the car park surrounded by flowers and woodland. I join my friends and begin a day of learning and fun. At 11:20 we are greeted by our French teacher who hands out scripts for the theatre group who are coming to school to perform a show. We learn the songs, they are really funky! Lunch!!! 12:50 is eagerly anticipated. I always look forward to scrumptious fish and chips (Fish Friday). As we gobble up our veg we sight the delicious treacle sponge – it’s the best! Our first lesson is English with our amazing teacher Mrs Hensby. The lesson goes all too quickly but at least I have guitar next with Mr Wells. At the moment I am learning songs by AC/DC to prepare for the school music competition. At break time I play football with my friends even though I prefer rugby. At least I had rugby club during lunch break. Rugby after curry and treacle sponge is fun although I don’t think they help you run fast. My day ends with Miss Dobson’s boot camp, which was great fun but very hard work – or character building as I’ve been told. I love days at Westville with my friends and my teacher. Sports, art and science are my favourite. Today we had art and I made two alien germs with pastels. One looked like a pickle. In science we used glitter to show how germs move around. We got glitter everywhere. It showed why we should use our wing when we sneeze. In clubs I learnt to ride my bike. Bike riding was fun but I can’t do any tricks yet.